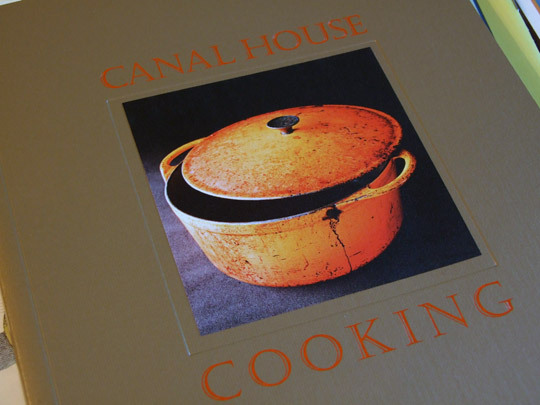 Among my favorite resources for dish ideas are a series of small cookbooks published under the name of Canal House Cooking. They are released seasonally when you can easily find ingredients for the recipes (the latest one has the blue cover) and just about all of them are easy to prepare if the right tools are on hand. You can buy them online and in some specialty cooking stores like Williams-Sonoma. 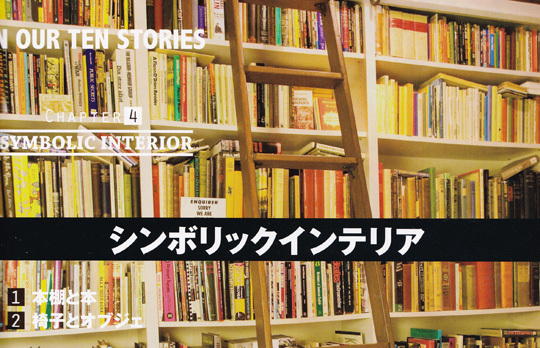 Ideas for my next place, from the Free & Easy July 10 issue… If you’ve ever shopped around for bookshelves and have very particular tastes, you’ve probably also found it difficult to find ones that you like. 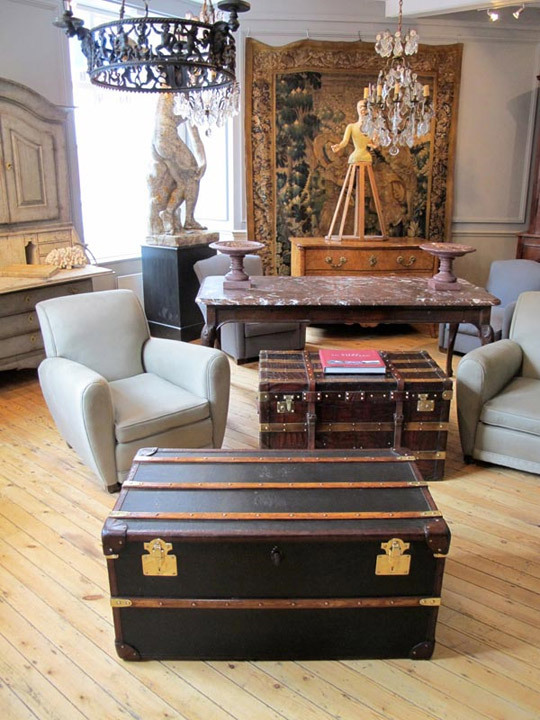 I think in my case I will need to scour for vintage antiques or go custom. An old video on midcentury design in America – many icons from Eames, Saarinen, and Mies van der Rohe have cameos (among others). Via BoingBoing. Watch how they’re made in the factory in Sweden. Thanks to Susan Perdok for uploading these. Nick Carr of Scouting New York has some amazing pictures up of a building on 5 Beekman Street in NYC that has been boarded up for decades. The current owners hope to convert it into a hotel. LIKE many New Yorkers, Rena M. Shulsky journeyed vicariously to the 1880’s through Jack Finney’s novel ”Time and Again,” whose climactic scene is set near City Hall, at Beekman and Nassau Streets. She never imagined making the journey in person — to the same corner and the same era. Then one day, her father invited her to squeeze through an unmarked, child-sized doorway in a corridor of the 19th-century Temple Court office building, 5 Beekman Street, which the Shulsky family has owned for three generations. 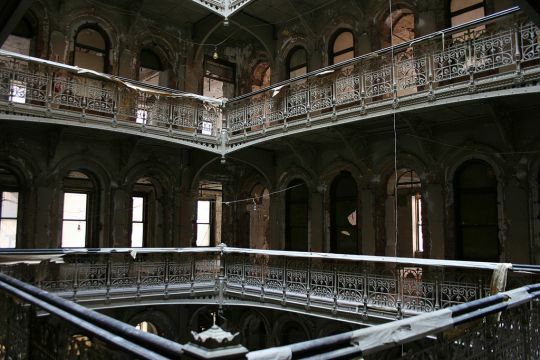 On the other side of the threshold, entombed behind plaster walls from the 1950’s, was a nine-story atrium soaring up to a pyramidal skylight, ringed at every floor by delicate Victorian iron balustrades ornamented with flowers, wings, sunbursts, spikes and arabesques. ”I had no idea it existed,” Ms. Shulsky recalled. ”I crawled under and went back in time. 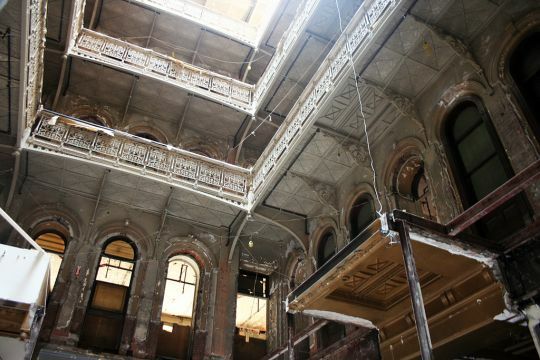 For me, who’s this giant Jack Finney fan — you can imagine.” She hopes to reopen the atrium as part of a long-term renovation. More coverage on City Room and Daily Intel. I wonder if Seattle has anything like this hiding around the downtown area. 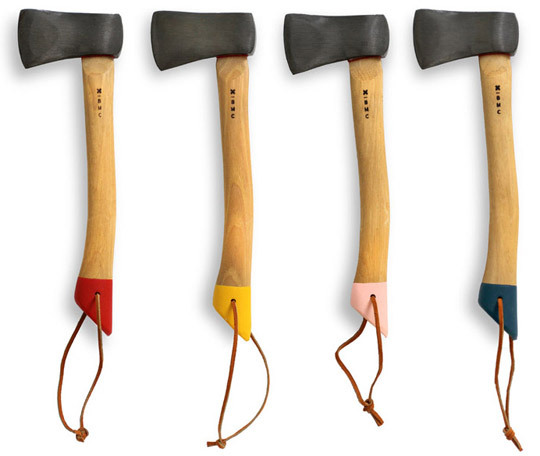 Best Made Company just put up their new line of hatchets for sale (and here I was just recently thinking of how nice it would be if they made some). I’ve ordered one and will post my thoughts on it after I give it some use. When your friends and family see how proud you are of your new axe, there is little doubt that they themselves will want one. They may even ask if they can borrow yours. By all means, do not say yes. It has been our experience that once an item is lent to someone else—even a family member—it never returns in the same condition, if it returns at all. 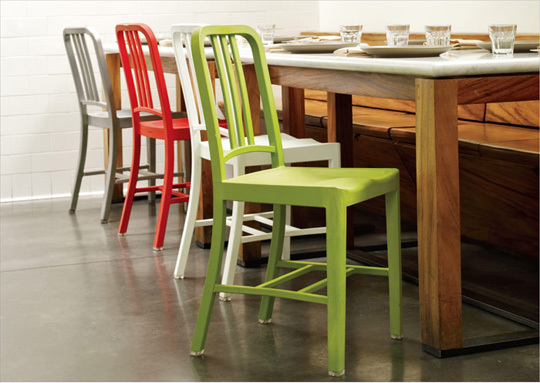 Design Within Reach is now selling the new 111 Navy Chair model from Emeco, which are made entirely of recycled plastic bottles and are a more affordable version of their classic aluminum chairs. Fun idea, but I’m curious about how much they weigh – do they feel like cheap plastic lawn chairs or sturdy pieces of furniture? Update 5/19: I was able to check these out in person today and I was very surprised by how heavy they were (17 pounds each!). Visually the only nitpick I have is that they left the small seam on the chair where the mold was split, but I suppose that fits in with its recycled plastic theme. This article from the Independent is a few years old but I still like to open it up on occasion for inspiration. 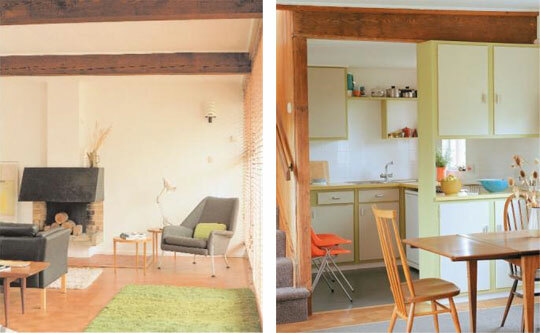 The interior of the home matches well with her clothing lines, along with the furniture that she sells in her own stores.